Hi folks! 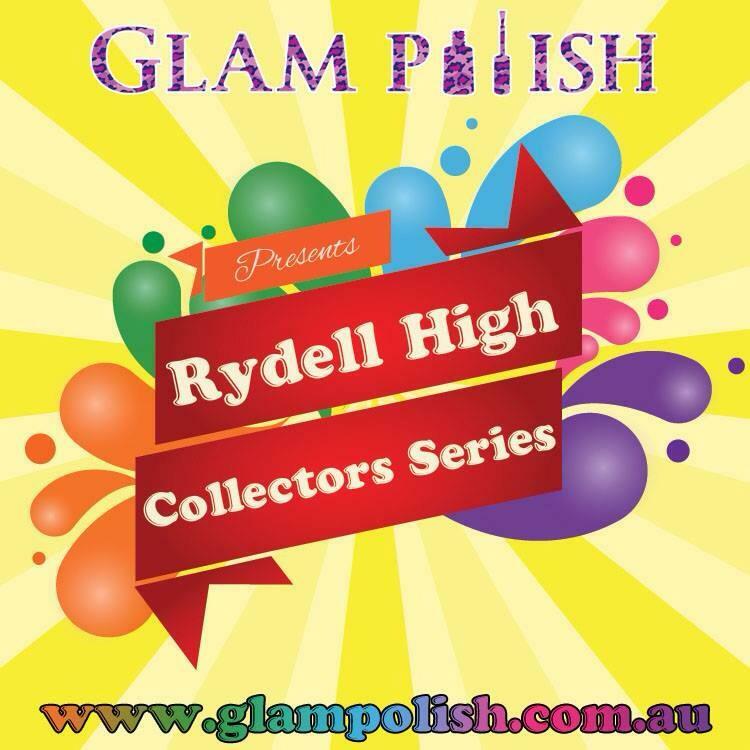 Tonight I have the first part of the Glam Polish Rydell High Collectors Edition shades. These three shades are available now directly from Glam Polish. These are vibrant shades with micro flakes and scattered holo effect. The three tonight are Hopelessly Devoted, Look at me I'm Sandra Dee and Summer Nights.
. Hopelessly Devoted. Two coats. A super bright hot pink shade that makes me think of Lycra! Look at me, I'm Sandra Dee. Three coats. A lovely bright purple. Summer Nights. Three coats. My favorite of this trio, it's so vibrant/. Finally, a little nail art I did using dotting tools as well as all three shades and white polish. Formula on these was good, but slow drying so take time between coats to prevent messing up the previous one. I suspect that they are bit neon because of how bright the colors are and they all have a bit of squish - but not too much, which I really like. The holo is definitely scattered, more of an accent than a true holo. Glam Polish offers shipping to the US, click here to shop. For international stockists, click here (they should have stock by the end of February or early March). For all the latest updates, be sure to follow Glam Polish on Facebook! What do you think of these three shades? Funny thing, I've never seen Grease! Yet I've heard all the songs. Weird, right?